Great Powerpoint presentation on the origins, history and traditions surrounding this particularly Irish Christmas custom. This short video tells of some seasonal traditions that have existed over the years like the game of Frumenty, Santa Bone Ointment, the game of Hot Cockles and how Christmas only became a legal holiday in the US in 1894. This short video tells how Santa Claus as we know it today has evolved over the centuries. Our modern version is an amalgam of St. Nicholas and the Dutch Sinterklaas and the traditions surrounding his has also evolved. 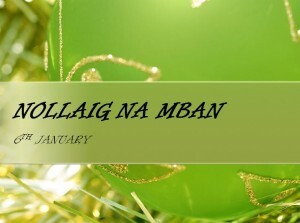 These are large flashcards/posters of the names of special days that occur during the Christmas season – as well as the obvious ones, there is also Epiphany, Hogmanay and Nollaig na mBan. This website from the BBC gives some history associated with the Christian festival of Christmas. 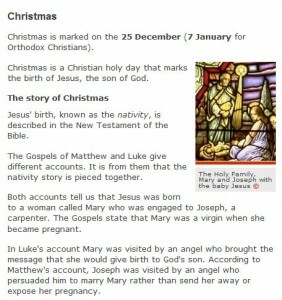 For example, did you know that the date of December 25th was only set as the day of Jesus’ birth in the 4th century AD? 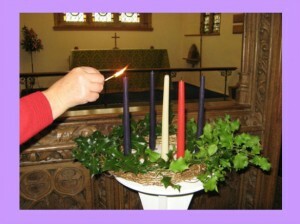 The site also gives details about early and modern celebrations of Christmas. This website gives a broad overview of Christmas ornaments over the years and the impact they’ve had on our memories of Christmas. It deals with the origins of the Christmas Tree, early Christmas ornaments from the 1800s and the ornaments from modern times. 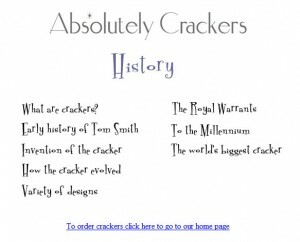 This website traces the history of the Christmas Cracker from its invention by Tom Smith in 1847 right up to the present day.It also includes some information on the world’s largest cracker. 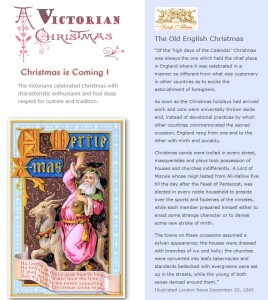 This website gives a great insight into the celebration of Christmas during Victorian times. It will give pupils great information on seasonal decorations, Christmas music, Christmas Eve, Christmas Day, presents, food and lots more. Charles Dickens had a profound influence on the way we celebrate Christmas today. This site details the revival of Christmas during Victorian times, including the beginning of what we now accept as traditions of Christmas – Christmas Cards, Christmas Carols, the Christmas Tree. 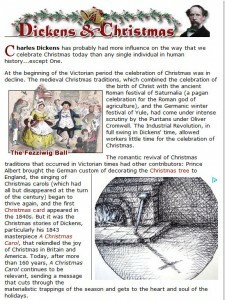 The site also makes reference to some of Dickens’ novels, especially A Christmas Carol.